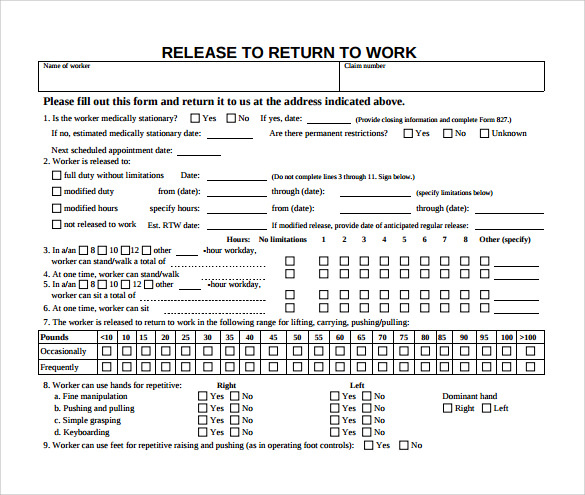 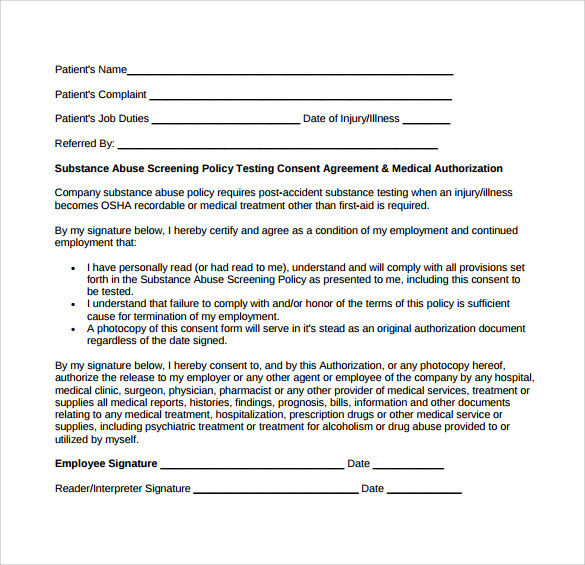 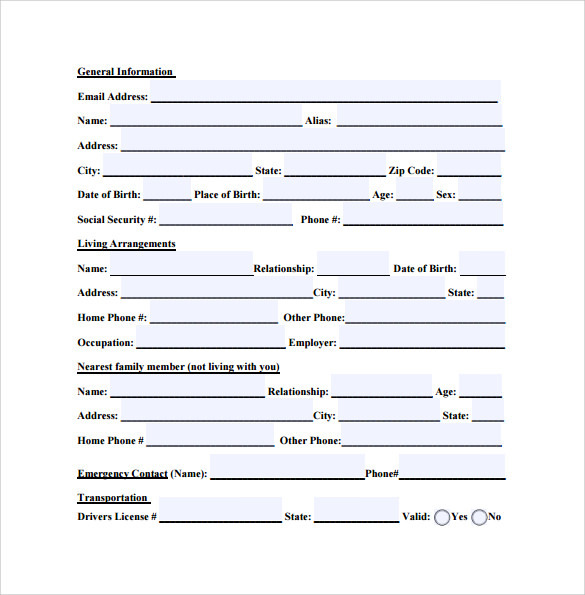 Work release form is provided by the health center authority to the organization to describe the present health condition of the employee or worker, when he will be able to join his or her duties, what restrictions he should follow and when he will be able to start his normal duties. 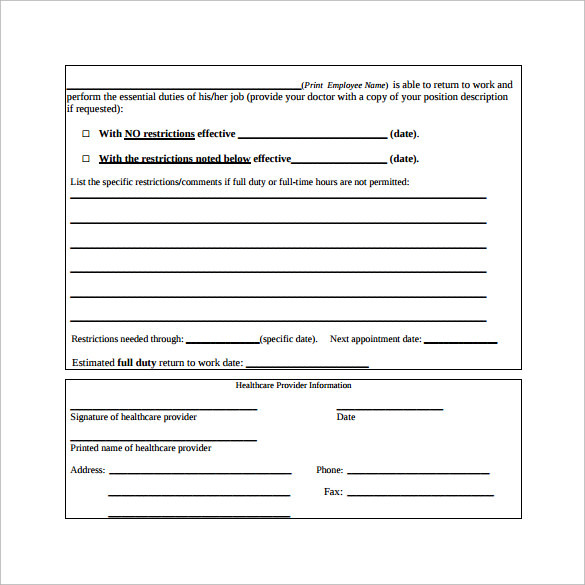 It is necessary to describe all the restrictions in minute details especially for the employees who are employed in factory facilities for specialized jobs only. 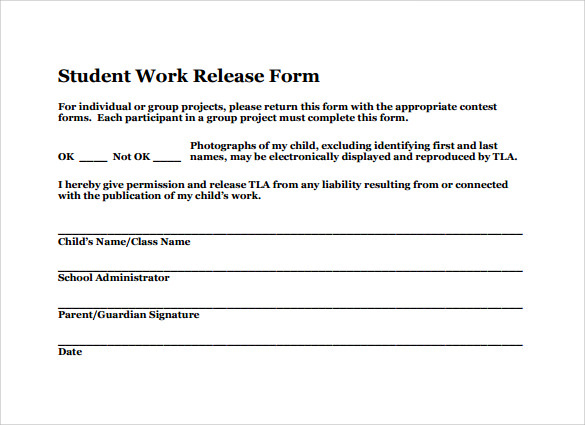 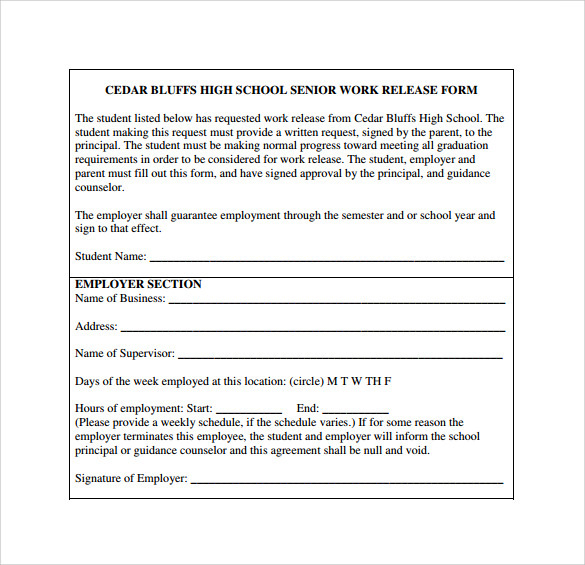 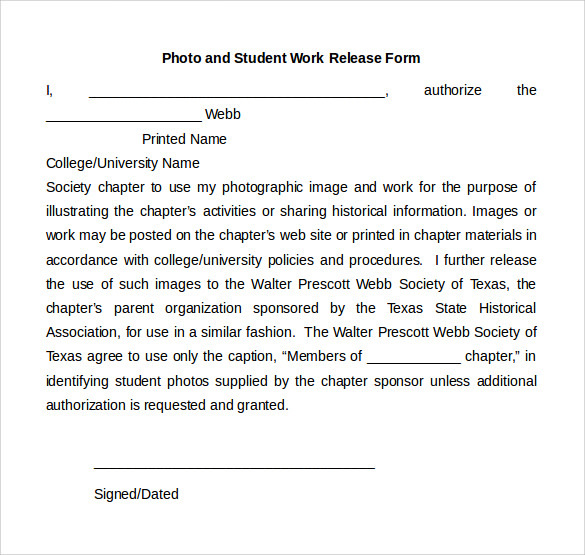 The work release General Form should contain the name, address and employee designation in details. 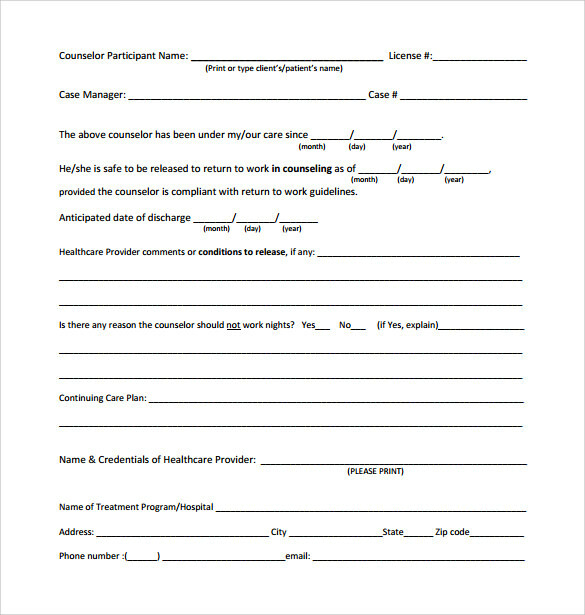 At the end as a footnote the health center authority can also add some special instruction to the employee regarding special consequences that may happen as a result of present health condition of the employee.